ATLANTA (KAIT) - A former Razorback is no stranger to football’s biggest stage. 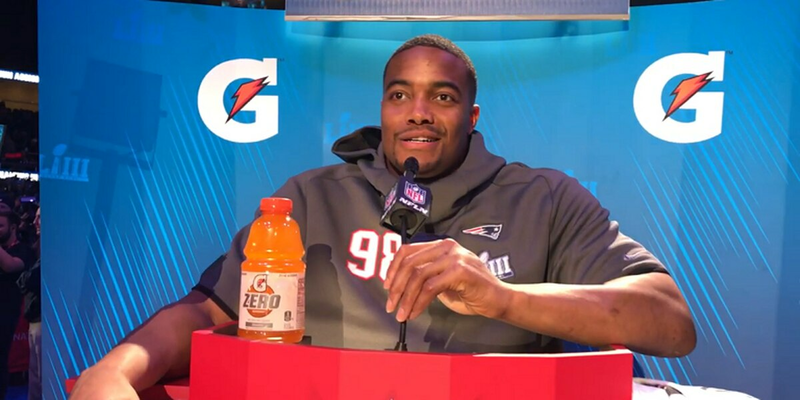 Patriots linebacker Trey Flowers is making his 3rd straight Super Bowl appearance. He has 60 tackles & 9.5 sacks this season with New England. Flowers offered some perspective in the midst of the circus that is Super Bowl Opening Night. “I think it’ll hit me after the season,” he told the CLNS Media Network. "It’ll hit me more after the season. You want to get the job done, you want to finish the job. Obviously after the season, you kinda understand that man, you’ve been playing 19 games for the past 2 years. Right now, you’re focusing on this game, focusing on finishing the job. Maybe I’ll think about it when the job is done." A Hog is guaranteed to be a Super Bowl champion on Sunday. There are a total of 5 Arkansas alums on both rosters.